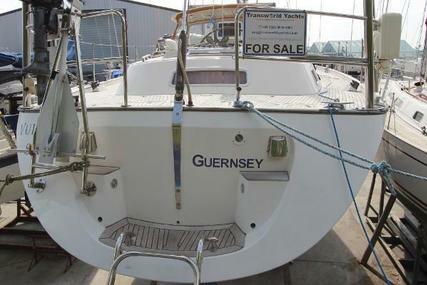 This Nautor's Swan 57 Centre Cockpit is a modified German Frers design from his earlier 55 CC model, with the addition of an extended reversed transom. 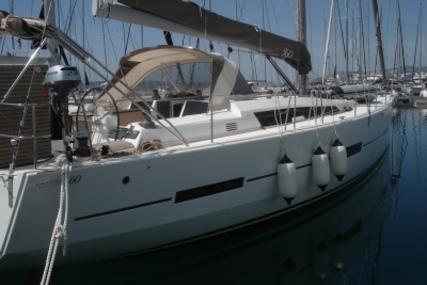 This Swan 57 CC is both elegant and practical, designed and perfected for comfortable family cruising. 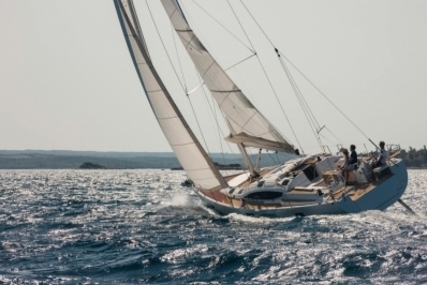 Her hydraulic lifting centreboard and roller furling sails allow her to cruise extensively with all controls conveniently at your fingertips in the cockpit. Her centre cockpit design also allows for considerable head room down below, adding to the feel of space and comfort. 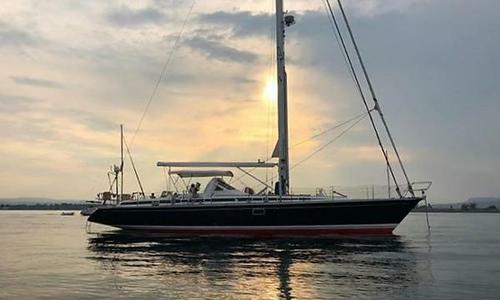 Fully equipped and well maintained this boat lives up to the excellent reputation that Nautor's Swan Yachts have come to possess, she is located for viewing in Southern Italy and is ready to sail away with her next owners. 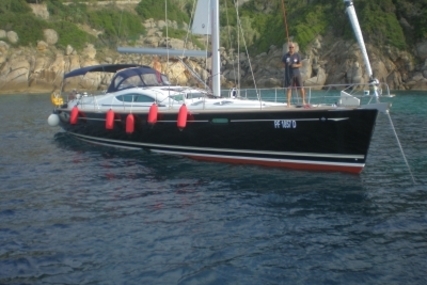 This Nautor's Swan 57 Centre Cockpit is powered by a Mercedes MTU 6 litre 167hp turbo diesel engine with around 4000 hours. 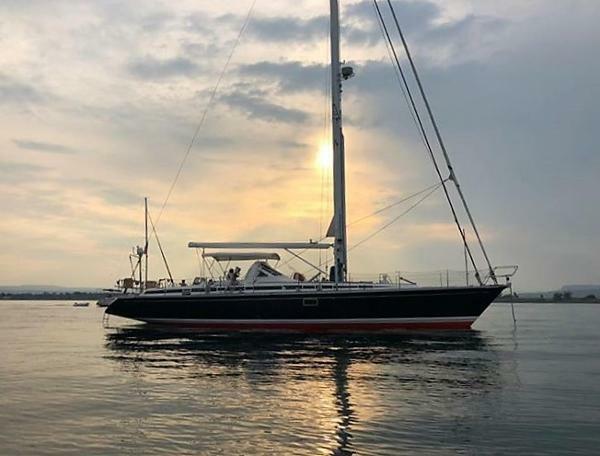 Her engine has a partial overhaul by the original engine supplier in 2012 including new titanium plates on engine cooler, new injection nozzles, new high pressure pipes, new fresh- and sea-water pumps and thermostats. The engine has also had a recent service and oil change. This Nautor's Swan 57 CC is equipped with an Hydraulic lifting centreboard which extends to 11ft 6 inches and has a minimum draft of 7ft 11, allowing maximum versatility when cruising. 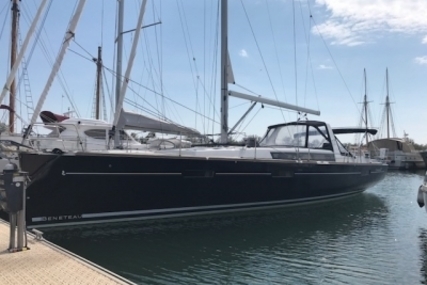 This Swan 57 features a Westerbeke BTD9 9.4kva generator, the generator battery was replaced in 2017. 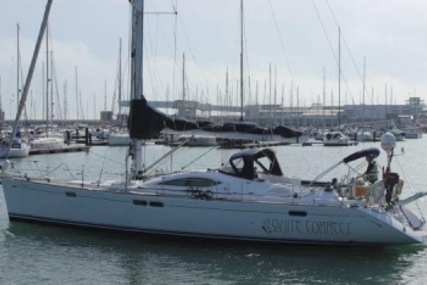 She also has a Sea Recovery watermaker 70l/h from 2013 and a Meissner 12kw hydraulic retractable bow thruster (overhauled in 2010). 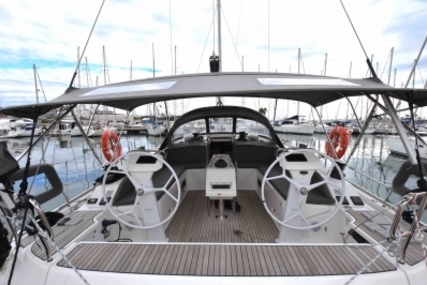 Additional mechanical features of this Nautor Swan 57 CC include Condaria 30BTU reverse cycle air conditioning from 2013; and Eberspacher Hydronic 10kw diesel heater unit with circulating hot water and adjustable hot air blowers throughout the boat (2009). 2009 - new steering cables and new Maxprop 3-blade feathering propeller. 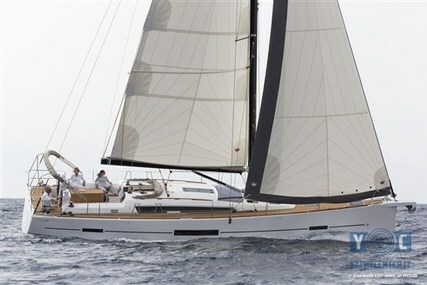 This Swan 57 features an aluminium mast and boom, which were removed, checked, sandblasted and painted white in 2009. 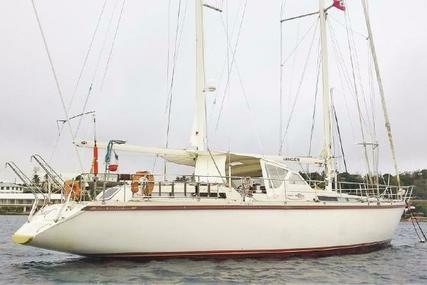 She also has all of her standing rigging renewed in 2009 by Southern Spars. 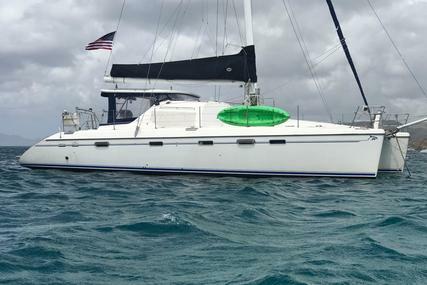 Her inner forestay has been moved forward, parallel to the headstay, for the Solent rig. 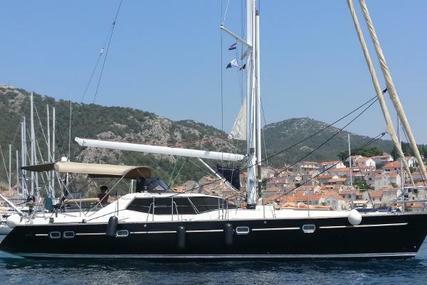 Sail furling systems on this Nautor Swan 57 include two Reckmann hydraulic furlers for the genoa and inner forestay, hydraulic mainsail in-mast furling and outhaul/inhaul, with all sail furling and sail adjustments controlled by push buttons at the cockpit pedestal. 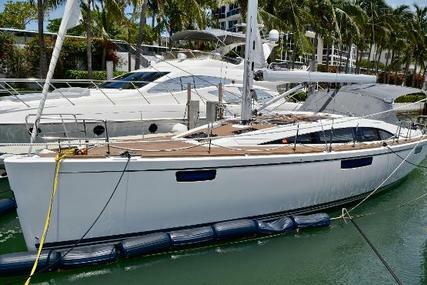 The hydraulic centreboard and retractable bow thruster are also controlled from the pedestal. 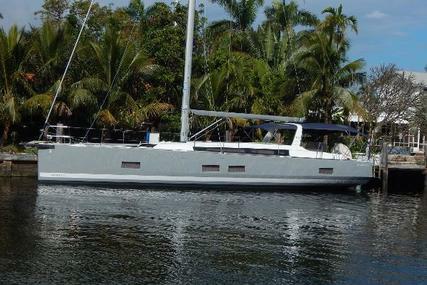 This Nautor's Swan 57 CC by German Frers is a modification on his original Swan 55 CC design, with the addition of a extended reversed transom. 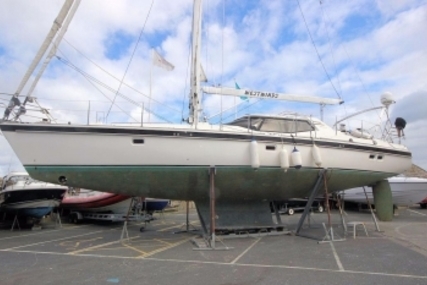 The deck of this Swan 57 CC is foam cored GRP sandwich and is finished with 10mm Teak Decking Systems laid teak deck from 2009. 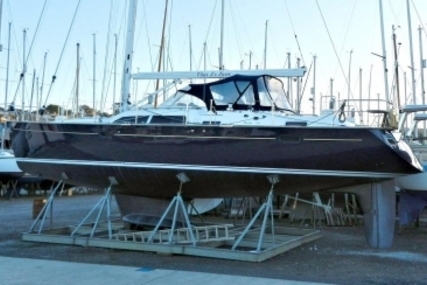 In 2009 the topsides were repainted in Flag Blue with a Gold Cove stripe; at this time the the hull was also stripped and re-laminated against osmosis (this work was completed by JBY's in Rhode Island and carries a 10 year guarantee). 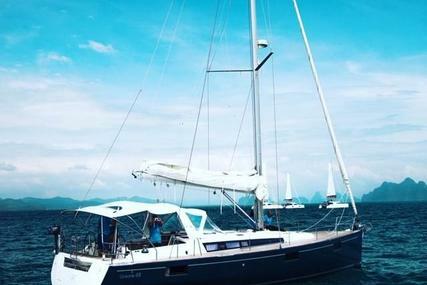 The centre cockpit of this Nautor's Swan 57 offers safe and comfortable cruising, with shelter provided by the hard top dodger and extendable bimini, there is also a teak folding leaf cockpit table to create an excellent al fresco dining space. 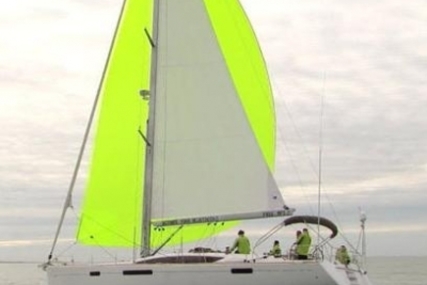 The central helm pedestal was repainted in 2009 and provides controls for sail furling and adjustment, anchor windlasses, hydraulic centreboard and retractable bow thruster. 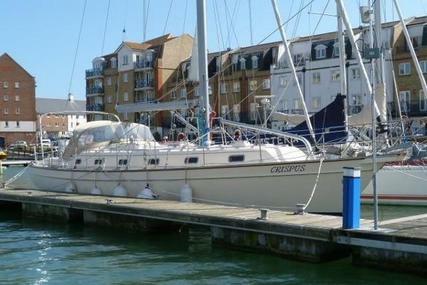 Accommodation for 6 is provided within 3 cabins on board this Nautor's Swan 57 CC. The aft master cabin benefits from the full beam of the vessel and plentiful headroom due to the centre cockpit design. 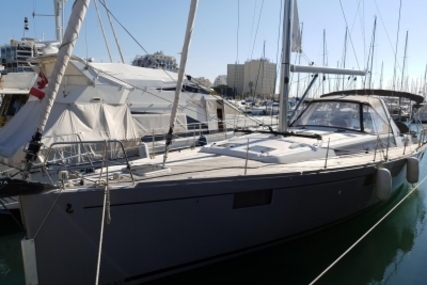 The master cabin features a large double berth to starboard, with a vanity/desk area with stool, plentiful wardrobes and lockers, a safe and a L-shaped sofa to port. There is also a private ensuite heads with stall shower. 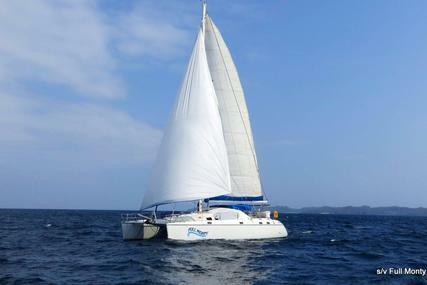 Forward is a further guest cabin with double V-berth, vanity area with folding stool and hanging wardrobes. 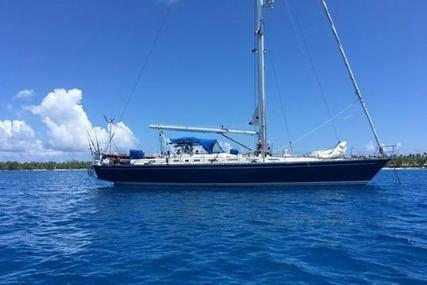 There is an additional guest cabin with bunk beds to port and a guest bathroom with head and stall shower to starboard. 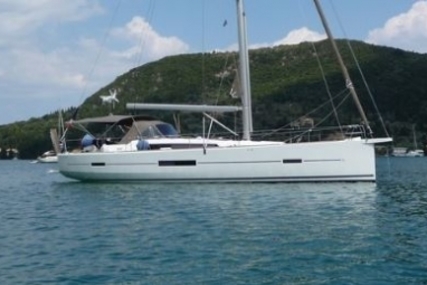 The saloon and galley of this Swan 57 CC offers a comfortable space for family living. To starboard is a U-shaped sofa area and centre line bench sofa, laid out around a large dining table. The centre line bench also has a bar built into the back. Opposite are two further seats with a small table in between. 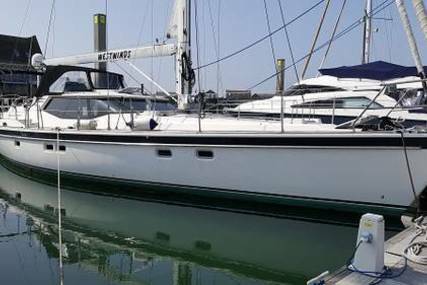 This Nautor's Swan 57 CC has a 230v AC system on shorepower and an additional 110v AC system through an inverter for US use. 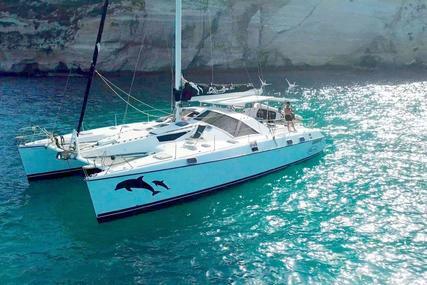 She is equipped with 6x 200ah Sonnenschien gel house batteries (2015), separate engine battery, generator battery (2017), additional windlass battery in forepeak, and a Mastervolt battery charger and shore power unit (2014). Pioneer 45Wx4 supertuner, switchable to cockpit or interior loudspeakers. Night lights, red at nav. area, LED is in Galley, chart light at nav. table. This Nautor's Swan 57 CC is also equipped with a Zodiac 310cm dinghy with a Honda 8hp 4-stroke outboard engine (2009). Flares and grab bag under chart table.